Update: since writing the post below my ideas on carving safety have changed. I no longer believe it’s a good idea to use a thimble, or any type of extra protection while carving. They can encourage unsafe carving practices. If you use unsafe techniques this thimble won’t protect you. You’ll carve straight through it, one day. 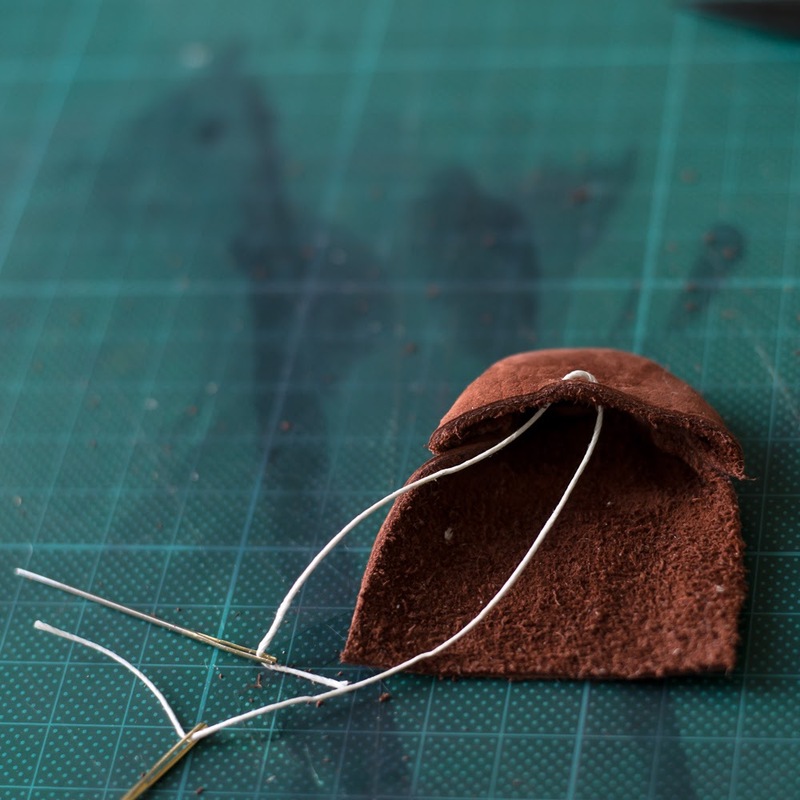 I’m keeping this tutorial, though, because you may find another use for the thimble. 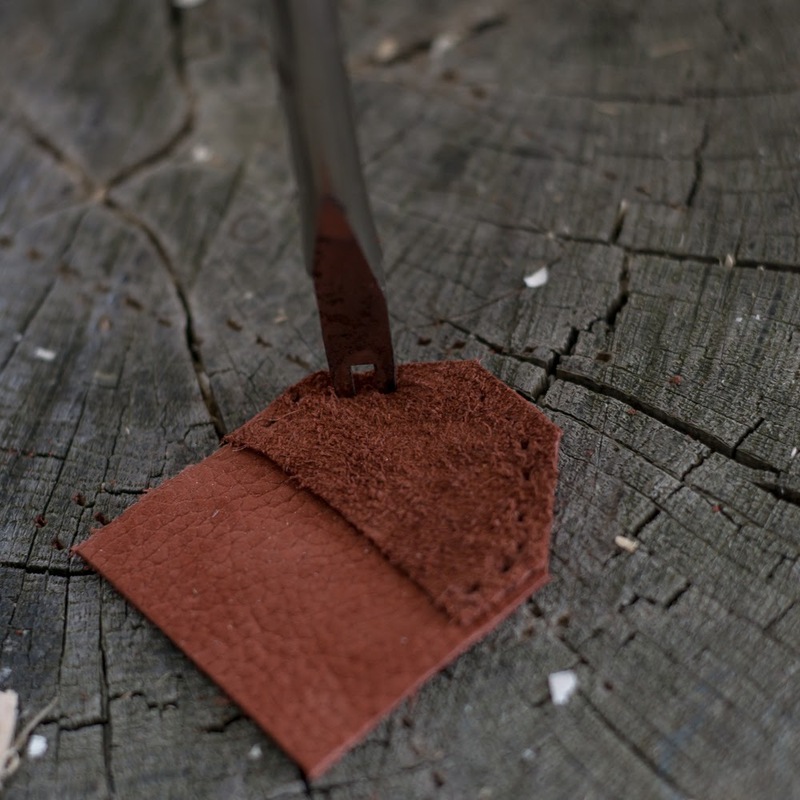 I’ve used it in leatherworking, for example. If you’re carving wood with a sloyd knife, many techniques require that you carve towards the thumb of the hand holding the knife. If you’re not careful it’s really easy to accidentally skip out of the wood and into your thumb. 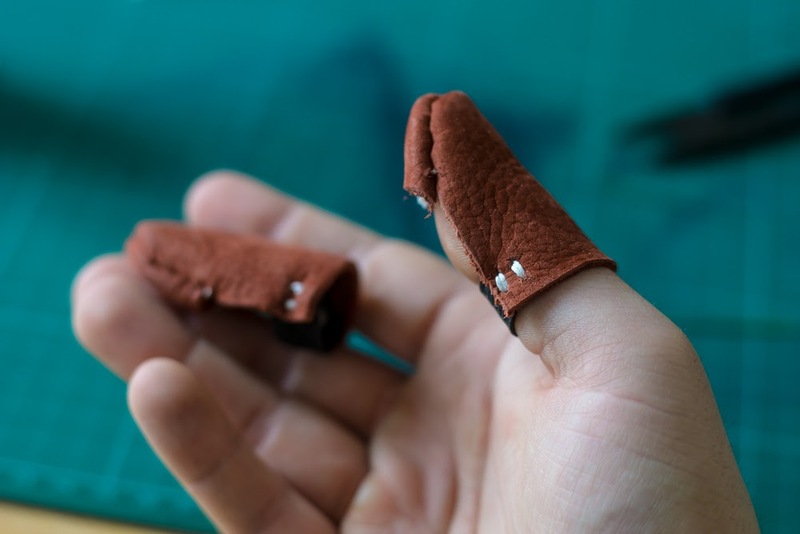 That is why I often use a simple leather or suede thimble to protect my thumb. 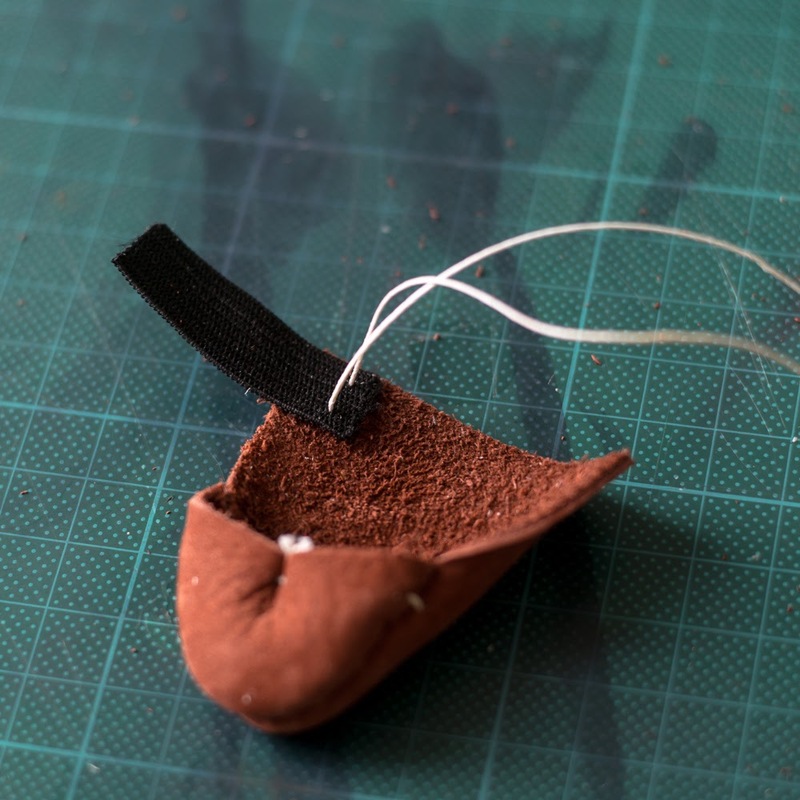 Here’s a little tutorial so that you can make one of these yourself, using only very basic tools. 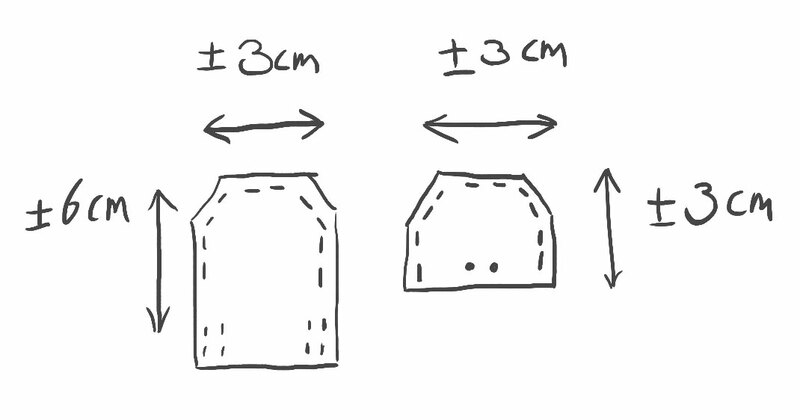 This (clumsily made) drawing shows the two bits of leather you’ll need. I used some scraps of (I think) buffalo leather, but you can pretty much use anything. The sizes don’t really matter that much. Those indicated above worked for my thumb, and can be used as a rough guideline. 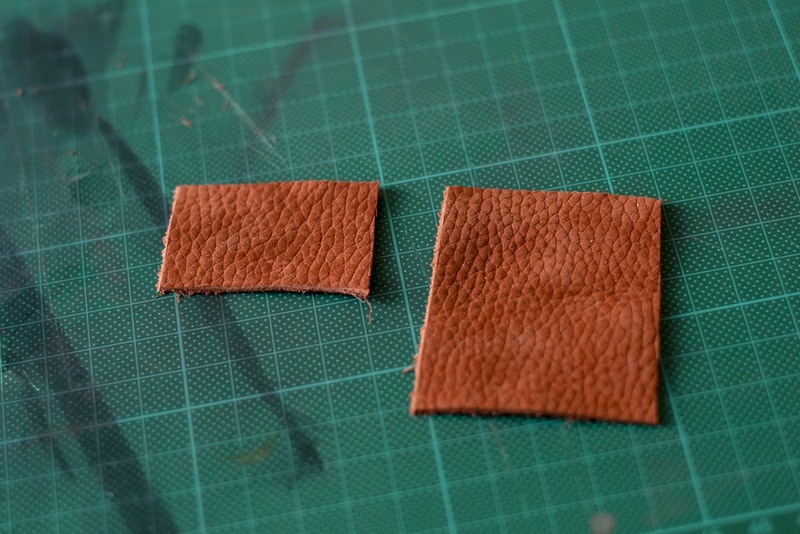 Step 1: cut two bits of leather. Step 2: put the two bits on top of each other, skin sides facing each other, and cut off the corners. Step 3: using a lacing/stitching chisel (or an awl, doesn’t really matter), punch a couple of holes along the sides. Keeping the two bits of leather on top of each other helps to line up the holes. 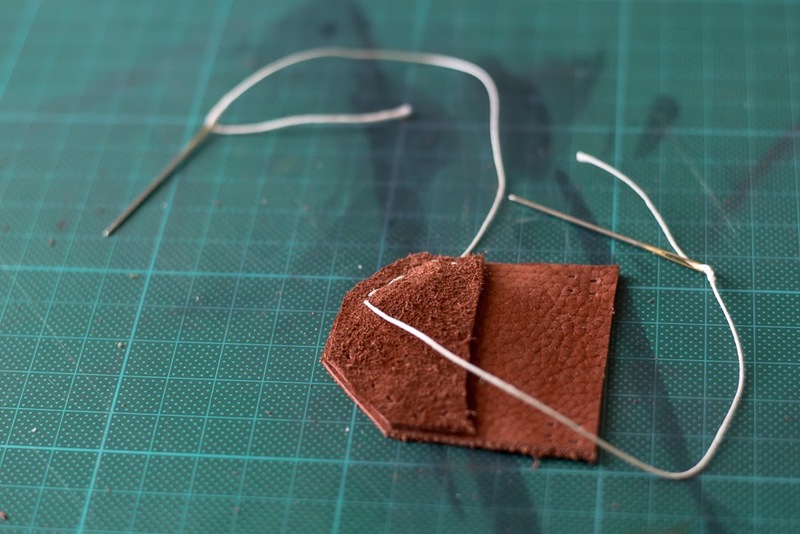 Step 4: stitch the two bits of leather together using strong thread, skin sides facing each other. I recommend saddle stitching, which is done with two needles. With a needle on each end of the thread, you basically do two running stitches from opposing sides, making a tiny flat knot inside each hole. If this explanation doesn’t make sense, don’t worry. I’ll write a more detailed post on saddle stitching soon. Step 4.5: turn the thing inside out. It should start looking like a thimble by now. 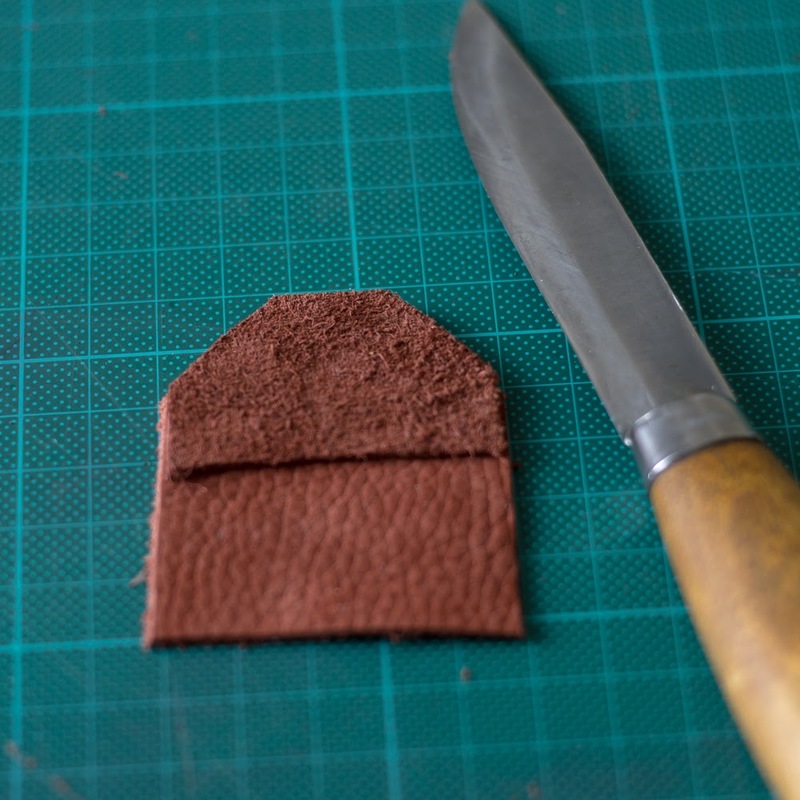 Step 5: there should be two holes in the middle of the smaller piece of leather. 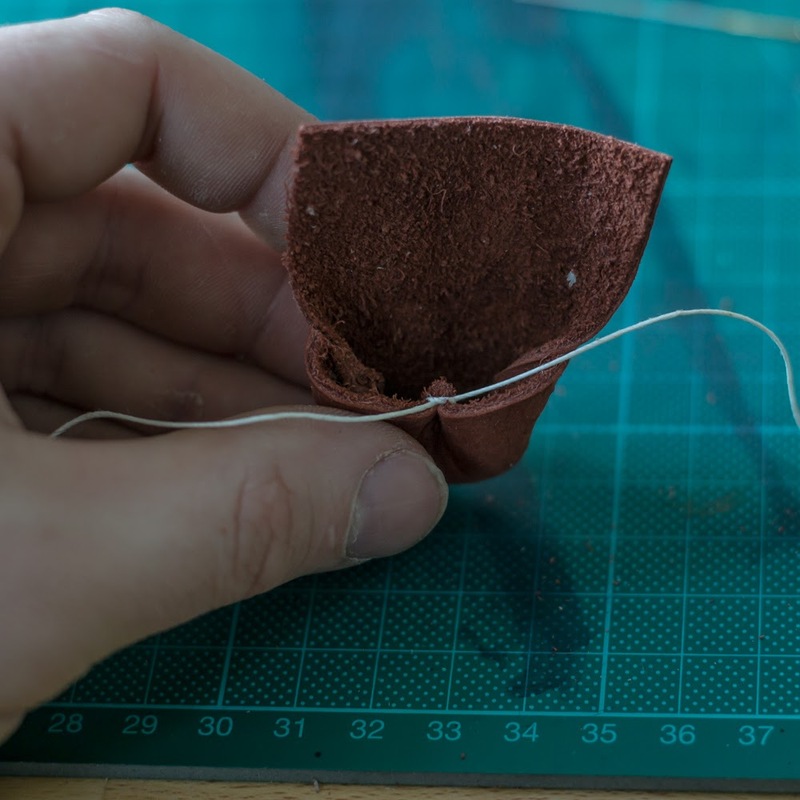 You can put a small stitch in these, pulling them together to make the thimble a bit tighter around the thumb. Step 6: attach a piece of elastic (from an old pair of boxer shorts for example) to the thimble. Start with the pair of holes closest to the middle, and work your way out. Attach one side first, and then the other. And that’s it. 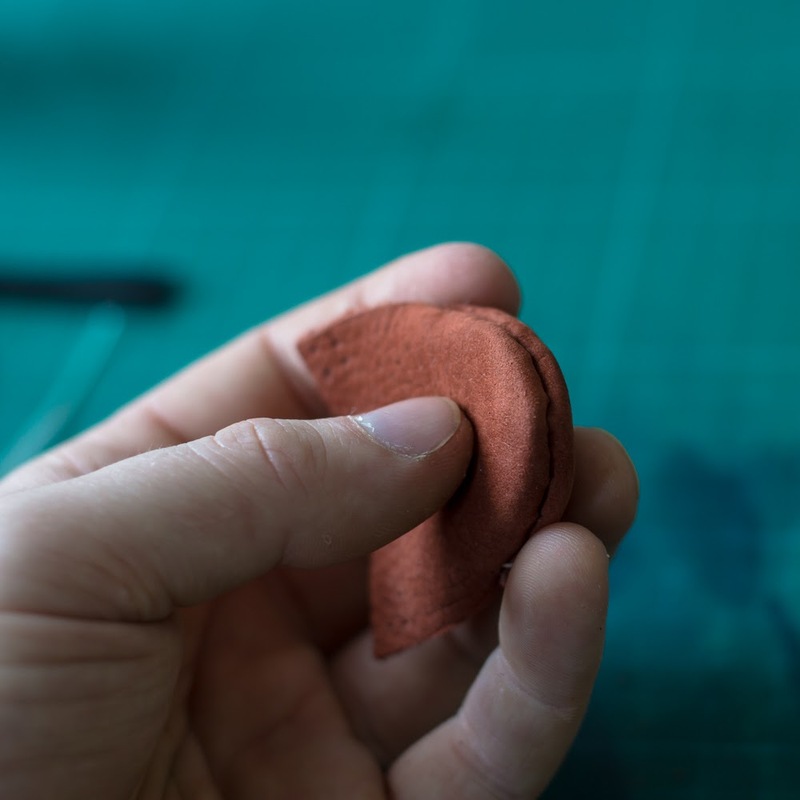 Leather carving thimble done! 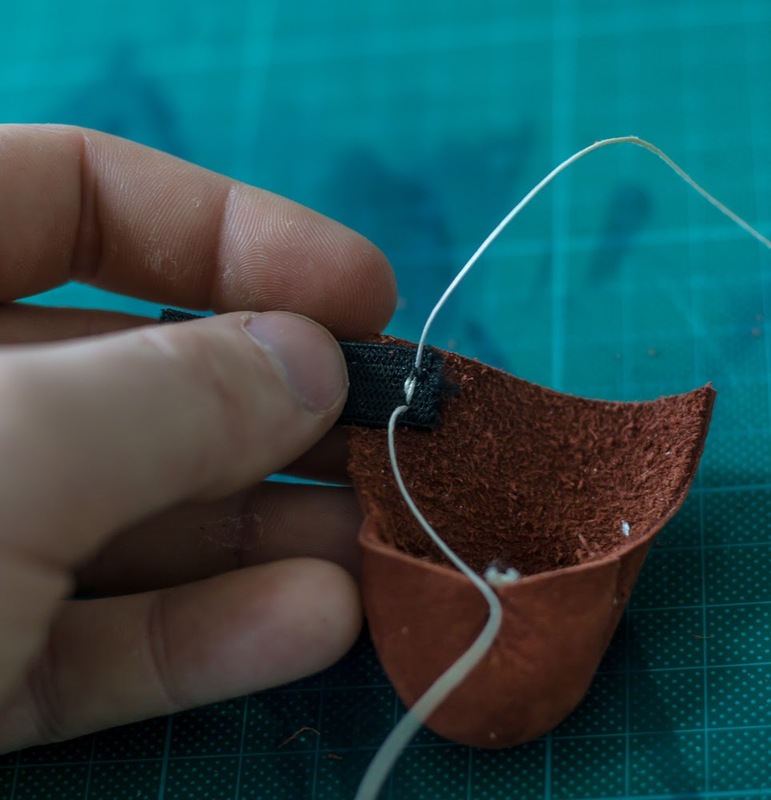 This entry was posted by Lieuwe in Green woodworking, Leatherworking, Making things in general and tagged carving thimble, Leather, leather carving tools, Leatherworking, safety, woodworking tools.